Politicians in parliamentary democracies are commonly blamed for their short-termism. Cynics point out that in these democracies the first third of a government’s term is spent in blaming the previous government for all deficiencies, the middle third is devoted to doing something constructive and the last third is kept for preparing for next election. 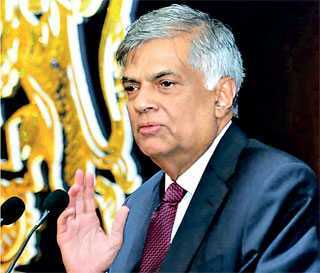 In Sri Lanka, however, since governments usually change hands after every election, unless extended by extraordinary means, parliamentarians are mostly interested in making the best possible use of their position for amassing fortunes for themselves, their kith and kin and cronies than in developing the country or caring for its people. It is this selfish mentality that explains why there is so much corruption and nepotism in the country. Corruption is pandemic and nepotism and cronyism is the preferred route to get jobs, Government contracts and public positions. It is the opportunities to accumulate wealth and power emanating from parliamentary positions that make election contests in the country expensive, violent and even brutal. Every government that comes to power is fully aware of the crimes and scandals of its predecessor. Leaders promise, as the current bunch did before 2015, that they would take stern action and bring the culprits to books. But once they are elected, they ignore those promises because they know very well that when those culprits come back again after another election, they would take revenge. Therefore, as an unwritten rule, rulers forgive and forget and continue to indulge in playing the same game with little change in rules. How else can one explain the Yahapalana regime’s inordinate procrastination to investigate the crimes and corruption under the Rajapaksa presidency? How else does one explain the continuation of corruption and scandals in the present regime? Why are the Central Bank bond scam fraudsters still at large? The answer is clear. 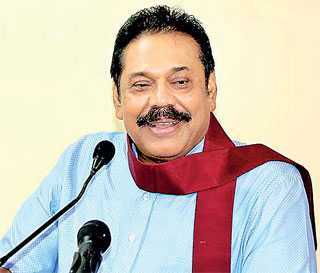 On the one hand, Yahapalana is afraid of retaliation by the Rajapaksas if they return to power, and on the other, by forgiving the criminals and swindlers of the previous era, current rulers expect their successors to reciprocate. 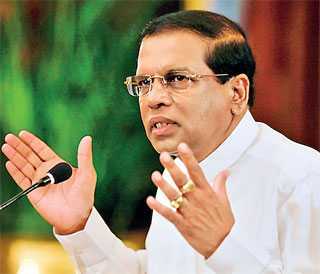 (President Sirisena’s belated sacking of a corrupt SDIG, while to be congratulated, does not alter the big picture.) This is the political philosophy that governs Sri Lankan democracy and this is the game played by all regimes, at least since 2005. As the popular adage goes, “I scratch your back and you scratch my back”. Needless to say, poor voters are the ultimate losers of this back scratching. Parliamentarians in this country think that they and their families are above the law, and that while in power no one could touch them. There is corruption in every ministry and every ministerially-appointed management board and commission. Newspapers and the social media reveal almost daily something new and adding to the accumulating stock of corruption scandals. It appears that ministers’ relations have open licence to amass fortunes through fraudulence. How else can one explain a recent news report, which has not been investigated by the Government, that someone close to a minster was able to earn thousands of millions of rupees by importing inferior pepper from abroad, re-packaging it as locally produced and exporting to India without paying any duty? No one, including the President and Prime Minister, seem to care about falling price of locally produced pepper and consequence suffering of its producers. Is this part of the much touted Gamperaliya that Minister Malik Samarawickrema presented to the world? While a number of articles have been published authored by economists, administrators, academics and social activists suggesting measures to develop the country’s economy and improve people’s welfare, those measures are theoretically sound and practically achievable. Unfortunately, all those proposals would remain archival material unless the fundamental issue of governance is tackled head on and with urgency. Without clean government, there cannot be a clean society and prospects for peace and prosperity can remain just a distant dream. Economic growth is not simply a matter of producing goods and services and publishing statistics. It is, more importantly, a matter of people’s widespread involvement and their collective synergy. How does one expect the majority to get involved robustly in growth producing endeavours when benefits from that growth are shared only by a small minority? Our politicians, with rare exceptions, have not contributed anything in substance (although some of them are alleged to be substance users) to promote economic growth or public welfare, except to share the benefits of growth and enhance their own welfare. They make hay while the sun shines and reap without sowing. It is short-termism in the extreme. Araciyal pizhaiththorku aram koottahum (justice descends as the angel of death upon those who err in governance), says Cilappathikaram, an ancient Tamil epic. This immoral, unethical and illegal state of governance, impervious to public criticism and legislative scrutiny also demonstrate the failure of the nation’s spiritual guardians. In spite of a surplus of monks, imams, priests and swamis, crowded in monasteries, mosques, churches and temples, every unspeakable evil is corroding Sri Lanka’s private and public ethos. Unfortunately, because of internal politics and politicisation of faith-filled institutions and their managers, religions have become part of the problem and not solution to the national malaise. Religious blessing is now auctioned and sold to the highest bidder. Such bidders are aplenty inside the Parliament. How can the country and its people get out of this rut? Sometime ago I wrote a piece that was published titled ‘Technocratic Cabinet with an Iron Fist’. There is no better alternative to governance than a democracy, but a little bit of authoritarianism added to it in the interest of greater interest would be tolerable if that regime could deliver the goods. East Asia has produced several examples of this authoritarian democracy. People have accepted it even if they were to surrender part of their natural liberties. The World Bank called it a “miracle”. Japan, South Korea, Taiwan, and Singapore are models to be studied and redesigned to suit Sri Lankan ethos. Such an authoritarian democracy should govern in the interest of all people and not in the interest of selected sections. Meritocracy and rule of law and not nepotism and corruption should guide its governance. What the nation needs is clean and impartial governance enshrined in a democratic constitution. That governance demands not a Hitler but Lee Kwan Yew with a techno-meritocratic cabinet. It is only such a cabinet with an iron fist at the top that can keep the lobbyists and charlatans at bay. It is time voters overcome the fear of the unknown and choose a fresh alternative. Those who are promising such an alternative must announce well before the elections their program of policies and team of ministers who would be implementing each of those policies. Give a chance to voters to study the manifesto and assess the quality and credentials of the team, so that they can overcome the fear of the unknown and make an informed choice. The country can ill-afford to continue the MS-RW-MR status quo any longer.